Another year has passed, meaning the first half of the Bundesliga has flown by with 144 matches being played out over a mere five months. There has been a noticeable change in the teams who profiteered from the season of last, just as there has been those who have faltered. Lacking the financial aid of their beverage-backed promotionees, SC Freiburg have undertaken a fine return to the top flight after recent yo-yoing to and fro the second division of German football. With a record of seven wins, seven losses and two draws, there is certainly an aura of all-or-nothing vibe to the Christian Streich’s side. Although fortunes on the road have been dotted with success, noticeable draws at the home of FC Schalke and Bayer Leverkusen are sign of good things to come. However, the club have certainly been a reckonable force at home having picked up an impressive 15 out of 21 points, as gifted outfits such as Borussia Mönchengladbach and Eintracht Frankfurt have faltered in the middle of the Black Forest. Such resilience will be put to the test straight from the off, though, as Freiburg will entertain none other than FC Bayern München as the Rückrunde curtain-raiser. 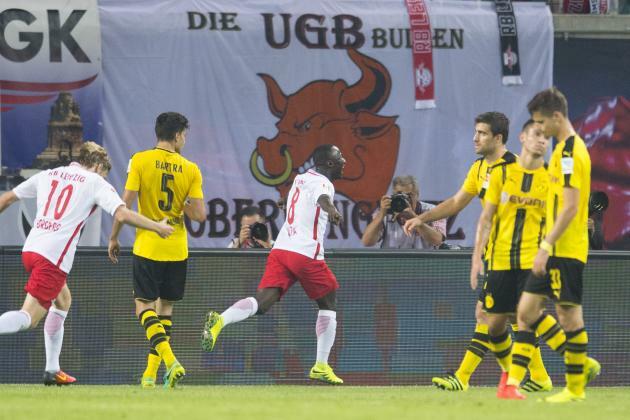 Taking into full effect the philosophy that defence is the best form of attack, FC Köln have put their stubborn nature into overdrive for the new season in conceding a mere 15 goals — the 3rd best in the league. Undoubtedly, such a feat would not have been feasible had Jonas Hector not stayed put, after increased talk over a move to Liverpool FC. Much like Freiburg, Effzeh have proven to use their home ground, the RheinEnergieStadion, and raucous fans to their advantage having going the latter part of 2016 unbeaten with four wins and as many draws. 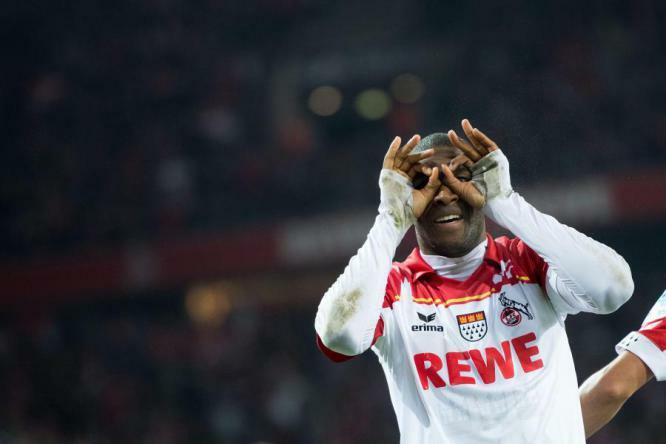 Of course, Die Geißböcke have much to owe to their pièce de résistance, Anthony Modeste, as the Frenchman has blossomed beyond expectation, scoring 13 goals in 16. With his side sitting in a relatively lofty 7th place, manager Peter Stöger will no doubt have been impressed by his side’s big step forward. Up next is a side who have been rejuvenated under the tutelage of Julian Nageslmann, TSG Hoffenheim. Achtzehn99 remain one of two sides unbeaten throughout Europe’s top five leagues — standing in the high esteem of Real Madrid — as per their ability to grind out results to great effect. It is because of this Hoffenheim lead the way with the most draws in all the continental leagues with a high figure of 10. Such adaptability puts die Kraichgauer in the highlands of 5th place. Following on from Nagelsmann’s high-octane philosophy has seen new signing Sandro Wagner put Hoffenheim, or rather Sinsheim, on the map with his 9 crucial goals, following on from a fine season with SV Darmstadt. Soaring from the ashes of potential relegation come the fearsome Eintracht Frankfurt who, like Hoffenheim, have switched ends of the table with the help of a new manager. Following the slim win over FC Nürnberg in the relegation play-off, it was unimaginable to think of Frankfurt as a side pushing yet again for the coveted Euopean spots, let alone a Champions League berth. But that’s exactly what Niko Kovač has orchestrated at the invincible Commerzbank Arena as der Adler have bested the likes of Bayer Leverkusen and the two main Ruhr clubs, whilst also holding Hertha BSC and Bayern to solitary draws. Frankfurt’s resurrection can be symbolised by the rise of Marco Fabián whom, at the age of 29, is at last fulfilling his potential notching 7 goalsists in 13 league games. On the other end of the age spectrum comes an array of young talent who have proven to be instrumental in the club gaining 4th position — Jesús Vallejo (recently 20), Omar Mascarell (23), and Branimir Hrgota (23) have all put in consistently mature performances in defence, midfield and attack, respectively. Although finishing the last campaign in a strong 7th placed finish, Hertha BSC will be hopeful of going one, or a bit more, better as the capital club finished the year in style with a strong 3rd placed finish. A loss to Danish side Brøndby IF in the Europa League qualifiers gave many the impression Hertha would be suffering from a hangover, but with Pál Dárdai, die Blau-Weißen put their woes behind them and dispatched of many a competitor. Key to such a resurgence has been the home fortress of the Olympiastadion. 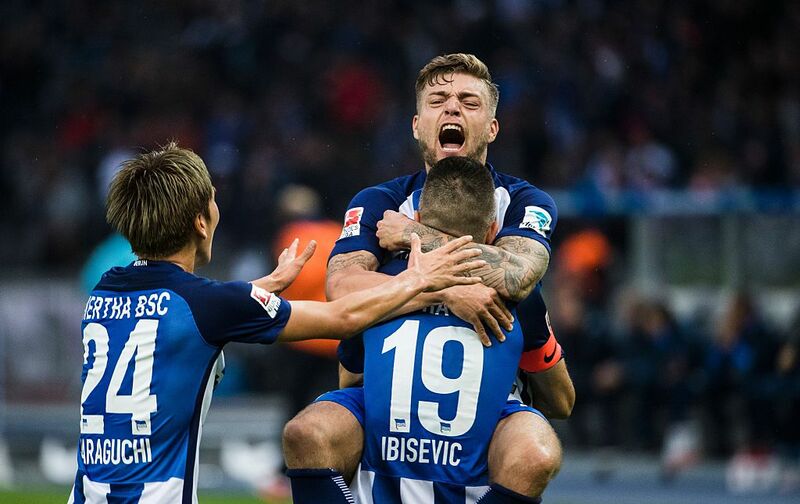 With the backing of their immense support, Hertha managed seven wins out of eight, losing only to Werder Bremen. Vedad Ibišević is in no part a big contributor to this as the Bosnian international has been directly involved in over half of The Old Lady’s goals, notching 8 goals and 3 assists. Whether or not Hertha can avoid a similar decline to last season’s Rückrunde is another matter entirely, however. In what can only be described as a ridiculously great Hinrunde, RasenBallsport Leipzig have quite literally taken the Bundesliga by storm since their promotion. Although not the most likeable team in the land, to put it lightly, the insurgent soar resembles the rise through Germany’s leagues, since their inception in 2009. Such success can be largely down to the club’s vibrant, if not slightly ruthless, policy of signing high-quality prospect players. While many players were loaned out and replaced, the Leipzig board used its financial muscle to bring in an array of talent, typically under the age of 23, such as Willi Orban, Oliver Burke, Davie Selke and Marcel Halstenburg, to name a few. Even with all the planning in the world, sitting level on points with the current champions is no easy task, and ex-Ingolstadter Ralph Hasenhüttl has orchestrated getting the best out of standout performers Naby Keïta, Emil Forsberg and Timo Werner. While Keïta has been a dynamo in midfield, Forsberg and Werner have been clinical further forward picking up 24 goalsists. Only time shall tell if Leipzig live up to their legacy of their Red Bull heritage and crash after an energetic start, or continue to put East German football on the map and Europe’s elite on alert. In what has been an admirable trait of consistency over the last several seasons, Bayer 04 Leverkusen have managed to finish in the top four in six of the last seven seasons, but for the first time in a while their hopes of a Champions League berth have been put under serious threat. The campaign of last saw die Werkself pick up ten losses and now, after sixteen games, they have fallen on seven occasions. As is the usual case with top sides struggling, the blame lies with a mixture of out-of-form players and injuries. While the likes of Ömer Toprak and Bernd Leno have been prone to mistakes, summer signings Julian Baumgartlinger, Kevin Volland and Aleksander Dragović have failed to impress in each aspect of the pitch. Because of this, B04 have been forced to rely on many young, often inexperienced, players, with Hakan Çalhanoğlu, Benjamin Henrichs and Wendell being forced to step up in the face of looming disappointment. Such a dilemma is epitomised by no other than 20-year-old Julian Brandt who, despite his age, managed to play efficiently across the attacking midfield line and notch 8 goalsists in 16 Bundesliga matches, using his dribbling and passing to devastating effect. 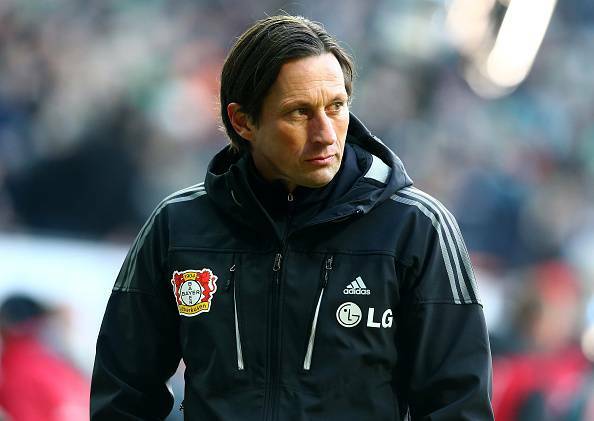 Roger Schmidt’s blueprint plan of high-octane pressing has been exposed against the likes of SC Freiburg, but flourished against Borussia Dortmund, thus speaking volumes of the inconsistency issues chaining Leverkusen to 9th place. In a world where football is changing, FC Schalke 04 have failed to adapt fast enough despite being given ample opportunities. Keen to break the back-to-back duck of finishes outside the top four, Markus Weinzierl was brought in after a fortuitous stint with FC Augsburg, along with some welcome additions. Five consecutive opening league losses put the Gelsenkirchen giants on the back foot straight from the off, and although going unbeaten in the next seven, winning five, another dip in form spurned its head as die Knappen could only manage to up one point out of a possible twelve in December. With a mere 20 goals to their name, lack of attacking venom can be highlighted by the fact left-back Sead Kolašinac has 6 goalsists to his name, albeit most have come when played as a makeshift winger, as an heir to Julian Draxler’s throne has not yet emerged. While business in the window was reasonably smart, the loss of Joël Matip to Liverpool FC has hampered the strained defence more so, and even the revelation of Benjamin Stambouli, Leon Goretzka and Johannes Geis in midfield could not stop narrow losses to rivals. A similar case in struggling with the loss of a key player comes in the decline of another popular club in Borussia Mönchengladbach. The person in question this time is Granit Xhaka who, in his time with die Fohlen, acted as the midfield maestro in pulling the strings and dictating the tempo. Replacements Christoph Kramer and Tobias Strobl could do little in stopping the opposition overrun the midfield, while the signing of Jannik Vestergaard hasn’t been enough to patch up the porous, inexperienced defence. At the other end, goals have dried up as André Hahn, Raffael and Lars Stindl could only muster a lacklustre 7 goals between them. Last season, Gladbach managed to shake off a poor start and finish in the top four, despite a notoriously poor away record. Overlooking only the one point on their travels, the home ground of Borussia-Park remains a fortress no longer with only four wins coming out of nine. Unsurprisingly, sitting only a few points above the relegation zone saw André Schubert lose his job, and it remains a tough task for new coach Dieter Hecking to steer the sinking ship away to safety, at the very least. The last entrant comes in the form of none other than Borussia Dortmund. Two seasons ago, die Schwarzgelben were languishing in the relegation zone wondering what had gone wrong, and the following summer their saviour in Thomas Tuchel — and the return of players — pushed the club back up to 2nd. However, despite Bayern’s slight setbacks, Dortmund have struggled to keep up with the Bavarians, as the losses of Mats Hummels, İlkay Gündoğan and Henrikh Mkhitaryan have proved too much to bare, despite Ousmane Dembélé, Sebastian Rode and Mario Götze being drafted in. With the spine of the team gone, performances naturally dropped and the inability to punish nearby rivals has seen der BVB fall way behind schedule. The strong, fearsome presence of Pierre-Emerick Aubameyang has kept the yellow submarine afloat, but injuries, a leaky defence and the rise of Hertha, Frankfurt, Hoffenheim and Leipzig have certainly complicated matters for Tuchel in his pursuit to gain a coveted Champions League spot. There is hope, though, that the addition of many a young player will flourish and put Dortmund on course for a strong Rückrunde with the backing of a motivating home support. As evidenced, it appears there are many surprise packages at this stage of the season with some becoming a revelation, but, as for those less fortunate, a notable trend appears in that all the top five, bar Bayern, have struggled to keep pace with the rest of the league. With even a possible title race on our hands, this campaign promises to be one riddled with more ups and down, and surprises and shocks. This article has been kindly provided to us by Kevin McGuiness, check out his blog here and follow him on Twitter @FussballKevMaxi.